The young, unscarred and hopeful join the multitude of actors, some of whom have spent years, even decades, fighting for their vocations. Only an actor with the art and passion for the craft in his blood will know the sheer will, determination and unshakable inner faith and self belief it takes to keep on fighting and withstanding the knocks that would have thrown others off the path at the first pass. Not every filmmaker is in tune to the needs of an actor and often the actor himself has to be his or her own writer, director, performer and editor. But it's import that they don't become their own critic. Most of us on the other side of the camera, love actors with a passion that erupts through the soul and we know what you go through and love being a part of helping you reach those moments of magic and see those flashes of brilliant wonder. Talent is a delicate creature. It needs kindness to come out into the light. Fierce teachers and uncaring craftsman can dent and damage the already fragile soul of those brave enough to take to a platform to reveal the deepest, sometimes darkest and rawest of human emotions. Hurtful intentions travel faster than words. Abusive teachers are feared, but never heard. As Stanislavsky says the No. 1 thing needed to be an actor is not truth or emotional depth. It is will—the strength to stand up and do it. We all have our moments of glory and our moments of great and bitter disappointment. The reason rejection becomes painful and destructive at the inner level is because it sends out the message 'you're not good enough' and when the artist, who will often feel by his own standards that he is not good enough to begin with, starts to judge himself this way, the reservoir of talent within can become firmly and sometimes permanently sealed shut. Our own disappointments and self judgements wound more than anything our critics can say. The line of defence is to be your own champion and your own warrior. Don't let others or your own self doubt make you forget why you fell in love with acting in the first place. Everyone has their own soul's purpose and their own spark of individuality. The rejection could have come from something as simple or as irreversible as age or height. Why give up your life goal because of something so unchangeable when the next person you come to stand in front of could fall in love with the essence of what makes you you? If you've reached that point where self doubt sits upon your shoulders like a heavy slumping devil, then remind yourself why you fell in love with acting in the first place. And the next time you audition, or even just the next time you practise alone in your room, throw your conscious self away, your inherent talent knows far better than your brain what it was born to do so don't restrict it. Let it fly. The BFA about to reveal details of our own efforts to help and champion acting talent, an iniative we'll be following in our documentary 'Fires we're Starting…' where we'll also do our best to highlight the plight of the actor and find ways to open new doors for them – or rather allow them to open those doors themselves. Until then enjoy a small collection of monologues, classic and contemporary, so they're ready in your arsenal the next time you're asked to prepare something for an audition, or even just find a safe private place over the next few days and deliver one alone, to a wall, for the sake of the passion of acting itself. "What exactly is a monologue?" By definition it's "a passage or composition, in verse or prose, presenting the words or thoughts of a single character." 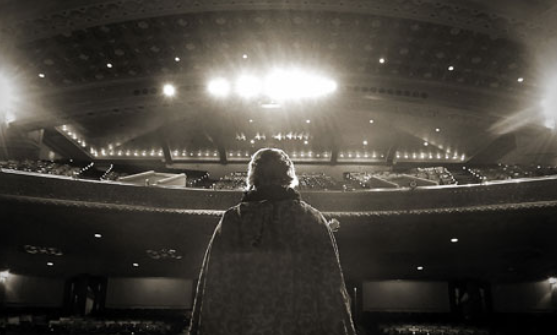 The title character is alone on stage and, depending on how the director has imagined the moment, either speaking to himself or speaking directly to the audience. "Aye, but to die and go we know not where." "You can't handle the truth! Son, we live in a world that has walls and those walls have to be guarded by men with guns. Who's going to do it? You? You, Lt Weinberg?" "Our knowledge has made us cynical; our cleverness, hard and unkind. We think too much and feel too little. More than machinery, we need humanity. More than cleverness, we need kindness and gentleness." "Here's neither bush nor shrub"
"You know the thing about a shark, he's got lifeless eyes. Black eyes like a doll's eyes. When he comes at ya, he doesn't seem to be living until he bites ya and those black eyes roll over and white and then, ah, then you hear that terrible high-pitch screaming. The ocean turns red and despite all the pounding and hollering, they all come in and they rip you to pieces." "They know I can't even move a finger, and I won't. I'll just sit here and be quiet, just in case they do …. suspect me. They're probably watching me. Well, let them. Let them see what kind of a person I am. I'm not even going to swat that fly. I hope they are watching … they'll see. They'll see and they'll know and they'll say, "Why, she wouldn't even harm a fly…"
"Look, Dave … I can see you're really upset about this … I honestly think you ought to sit down calmly … take a stress pill and think things over … I know I've made some very poor decisions recently, but I can give you my complete assurance that my work will be back to normal." "I left no ring with her; what means this lady?" "The Nazis are the enemy. Wade into them, spill their blood, shoot them in the belly. When you put your hand into a bunch of goo that a moment before was your best friend's face, you'll know what to do." "She loves me; she loves me not." "I'm telling you all this because you're a writer." "Put. That Coffee. Down. Coffee's for closers." "The Diary of a Scoundrel"
"Can't you see in my eyes that I'd rather die than cause you a minute's pain?" "You have meddled with the primal forces of nature, Mr Beale, and I won't have it!"